I see. Amma ba dai gari ba, sai dai wata kasar To Allah ya kaimu goben, amin. Amma fa in kika makale kusa da AC, kar ki bar gurin sai rana ta yi sanyi. Don in kika fita kika shiga rana, ji zakiyi kamar an kwara miki ruwan zafi. Kya sha sanyi kuwa, dama garin naku ko ba tsimi ba dabara sai kaji ka fara karakarwa. Tunbana yanzu autumn ya shigo. I see. Amma ba dai gari ba, sai dai wata kasar Grin To Allah ya kaimu goben, amin. Amma fa in kika makale kusa da AC, kar ki bar gurin sai rana ta yi sanyi. Don in kika fita kika shiga rana, ji zakiyi kamar an kwara miki ruwan zafi. A Ingila take fa? Ina taga jin zafin rana? ranar garin tasu da tsoron hitowa take a ganta a fili? Happy month, happy people, what more do we need in a year? We shud consider ourselves very lucky to be among those that have survived the dramatic 2007 upto Ramadan again, e no easy o! It seemed like yesterday we were calculating the number of months, weeks and finally days remaining for Ramadan, today its here. Alhamdullilah! U 've being doin' great. I was inevitably or rather unfortunetely absent for quite long. But am now back, fully back, insha Allah. Happy Ramadan! 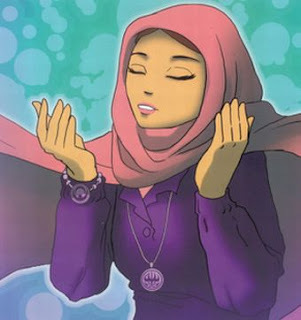 Pray we 'r among those that Allah will forgive 'n put in Jannah in this great month. For most Muslims, Ramadan is family time. You get up together, eat Iftar together, pray together, etc. But what if you don't have your family near you? Waking up in a lonely apartment and eating food you've sometimes burnt in an effort to catch Sahur in time are some of the realities of being a single Muslim in Ramadan. But there are ways to make Ramadan special when you're on your own. Here are a couple of ideas. Get a couple of friends together and establish a telephone tree to wake each other up for Sahur. Establish a time to call and a schedule of who will call whom. Make it a little exciting by adding some funny phrases every week that will really wake everyone up (e.g. "ASSALAMU ALIAKUM" This is the Sahur Sister/Brother calling. Rise and shine y'all for some morning munchies!). Even if you couldn't eat the food the last time you cooked, invite people over for Iftar. Make it a potluck, order pizza or if you can afford it, get it catered. The food isn't the thing. The blessing is in the company, and you'll be rewarded for feeding everyone. Make sure to especially invite those who are away from their families. Even if the Imam's recitation isn't the best and the behavior of other Muslims can be more than annoying, try to attend Tarawih prayers organized by your local mosque or your Muslim Students' Association (MSA). While praying alone in peace and quiet is great, praying shoulder-to-shoulder with other Muslims with whom you have nothing in common except your faith is a unique and uplifting experience. It may seem hard to squeeze in time for anything else in Ramadan, but try, at least once, to do some volunteer work. Cook a meal for those who attend the MSA Iftar; volunteer for a day at a soup kitchen; help make or distribute flyers for a Ramadan program; make Ramadan Mubarak loot bags of candy for the kids at your local mosque. The possibilities are numerous. The point is to give to others so you can get back what's priceless. It's often tempting to keep the TV or radio on when we're alone at home to avoid the silence. This Ramadan, find a CD or cassette of a Quran reciter you like and play it during those moments when you want to fill your place with some sound. Choose selections you'd like to memorize, like the 30th part of the Quran. Not eating Sahur and Iftar properly will make you crabby, irritated and sick (as opposed to healthy, wealthy and wise). Establish a personal Ramadan meal plan. Choose healthy, easy-to-make recipes so you're not scrambling at the last minute for something to eat. Send Ramadan e-cards, thoughts, reflections, questions, etc. via phone or email to family and friends. Keep in contact at least once a week and share three Ramadan-related things you've done in the last ten days of Ramadan. Know a new person at the school/office? Is a friend who lives nearby having problems with their spouse? Or is someone you know having money problems? This Ramadan, reach out with an attentive ear, a generous hand, and most importantly, an open heart to others. Don't let these small opportunities for gaining blessings slip you by. Choose at least three goals to pursue this Ramadan. Whether it's curbing a bad habit or starting a good one, doing this will help you focus and work harder this month to change for the better. It takes 21 days to establish a good habit. With Ramadan, we've got 29/30. Why not make the best of it by picking up the good? ”. May Allah [SWA] guide us towards reaping complete benefits embedded within this blessed month" Ameen! - Ramadan Mubarak!” O MANKIND ALWAYS REMEMBER!! Happy Ramadan and Spiritual enlightenment..
God bless, Dante. Keep it up. That was one of the most inspiring articles i have read in a long time, we are so lucky being muslims. Baraka Allah. My sahur today: A cup of shayi, a cup of kunun tsamiya, a cup of ruwa, and half a slice of fried yam. Ko yaya zamu kare da azumin yau, oho. Tab, a wannan zafin nigeriyar kake wannan dan sahur din? Wannan ai kafin shabiyu na rana ma kafara gala baita.. Hhm! Hhmm! kuma ni bana sahur din ma. Sam wallahi bana iya tashi inyi sahur, indai naci abinci kafin in kwanta shikenan. Wayyo, am already salivating...B~K ai wannan bude baki ne!!! So ka ce kai de yau babu sauki kenan?